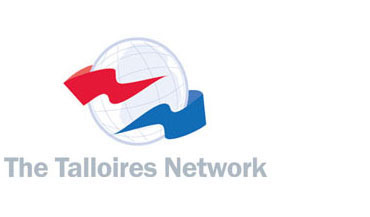 The Talloires Network is an international collective of individuals and institutions committed to promoting the civic roles and social responsibilities of higher education. The Network gathers prominent universities from all over the world committed to providing citizenship education to their students, and for their social commitment and service-learning programs. Especially those focused in the fields of alphabetization, reading promotion and technological alphabetization. CLAYSS provides assistance coordinating activities with the Latin American members, incorporates new member universities in the region, and produces new promotion materials Networks. Respect for mutual learning between institutions of higher education and communities. The application of standards of excellence to community engagement work. The aspiration for diversity in both our membership and our approach to civic engagement. Empowerment of individuals and groups to strengthen relationships between higher education and society. Scholarly recognition of the value of service and action in teaching and research. Create institutional frameworks for the encouragement of good practice. Foster partnerships between universities and communities. Raise awareness about contributions to higher education to social advancement and well being. Document and disseminate examples of university work that benefit communities and the lives of their members. Support and encourage other academic associations in their efforts to strengthen civic engagement in higher education. Membership in the Talloires Network benefits an institution’s academic community as well as the broader society to which it belongs. Membership provides the following benefits. Connection to a community of peers. Access to the most innovative examples of programs, projects, research and tools. Knowledge-sharing of teaching techniques grounded in experimental learning. Guidance for an institutional self-assessment and planning process centered on civic engagement. Opportunity for joint initiatives, including regional events and conferences. Access to a shared global platform, through a website, blog and communications tools.